Perhaps the most widely known film concerning a period of Black History. This utterly horrifying portrayal of the conditions of slavery, is an essential watch. Chiwetel Ejiofor is powerful as a black man from New York who is sold as a slave, in the years upcoming to the American Civil War. The film is also famous for the introduction of Lupita N’yongo, who has now become one of the most important figures in black celebrity culture. She steals all the scenes that she appears in, including one particular scene that is hard to shift from your memory. Barry Jenkins’ 2017 Oscar winner is one of the most memorable films I’ve ever seen. Completely drawn-back without the mainstream production and special effects, this is a film that relies wholly on the characters and the beautiful writing, directing and cinematography. 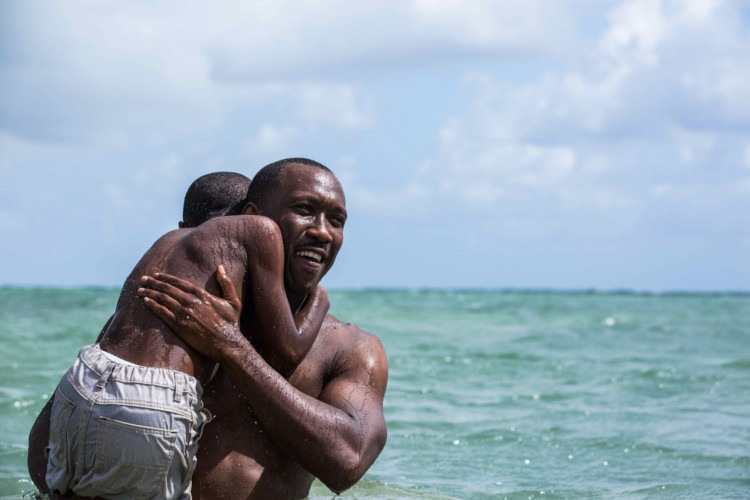 Moonlight follows the life of black gay man, Chiron, and is split into three sections; his life a child, growing up as a teen beginning to acknowledge his sexuality, and as an adult. This film is a perfect watch for Black History Month as it shows intersectionality in action, and shows the underlying social politics of being black and LGBT+ in today’s society. Possibly the most legendary black director, Spike Lee made his big return this year, with probably his most critically acclaimed film since 1989’s ‘Do The Right Thing’. Blackkklansman tells the true story of the first black officer in the Colorado Springs police department, and the reception that this appointment creates. It is contextualised among the time of peak racial tensions and the rise of the Ku Klux Klan. Blackkklansman is horribly relevant, and reminds us that racial tensions are by no means over. It ends the film with clips from recent racial protests and speeches from Trump that are reminiscent of those shown in the plot. In some ways this shows that Black History Month is not just for remembering what happened in the past, but to remind us that black history is still being created as we speak. An important historical drama, telling an often-unheard part of history. It is sad that the British education system only teaches the bare minimum of history from other cultures, because Hotel Rwanda’s story of the Rwandan Civil War is an essential one to learn. Don Cheadle stars as a Hutu Hotel owner who houses Tutsi refugees, including his wife played by Sophie Okonedo, when the Tutsi genocide begins. Finally, Marvel allowed multiculturalism to enter their billion dollar franchise. Black Panther is probably the best Marvel film ever made, it is a glorious watch from start to finish. It’s fun, it’s tense, you get to experience the beauty of the island of Wakanda and it showcases the best in black acting talent. A must-watch for anyone. A gloriously horrible little picture, directed by the genius that is Jordan Peele. Get Out tells the story of a young black American who visits the middle-class family of his white girlfriend. This unlikely horror film begins with the subtle tensions and skepticism that the arrival of the black character brings to the white family. This alone is horrible and highlights the racial tensions that remain prominent in America. But what follows is truly hard to watch. These racial tensions turn into horror-filled sequences, for reasons that I will not spoil. Get Out is innovative beyond belief, and is a film that I will never forget… Especially that hypnotism scene. Previous articleWhat do you mean it's bonfire flavour!? Next articleIf You've Got It, Haunt It!